In the spring of 1998, in response to growing homelessness, worsening conditions across the country including access to food and shelter, and a dramatic increase in morbidity and mortality among homeless people, a group of people formed the Toronto Disaster Relief Committee. In October 1998 we declared homelessness a National Disaster. We released a report the State of Emergency Declaration, and called for two things: first, that federal emergency relief monies be released to communities across the country so they could provide disaster relief for their homeless populations and second, for a long term solution, the 1% solution – a national housing programme. Sadly, not only our report but similar recommendations from experts, inquest juries, and researchers were ignored in the subsequent years. Former City of Toronto Mayor Mel Lastman, is widely known for refusing to meet with the Toronto Disaster Relief Committee for a one hour briefing over 16 times over his two terms of office. Recent events at City Hall point sharply to the fact that our City is in serious need of a well-informed blueprint document and political leadership to respond effectively to this humanitarian crisis. Our goal should be to make dramatic improvements in the next 5 years to end homelessness and build housing in this city despite the odds. The following is a look back at what TDRC called for in the Fall of 1998 and where we are at the close of Winter 2005. “Moss Park Armoury should be opened as an emergency 24-hour-a- day facility to handle the overflow from existing emergency shelter services. Similar facilities should be opened in other areas in the city. 2005 Reality Check – armouries or similar facilities have been opened approximately 6 times since 1998. However, each year (until the winter of 2004-5) we had to mount significant protests (literally) to achieve these openings. Then, each March or April, the facility would close. In January of 2004, TDRC held a press conference and asked that a federal armoury site be provided to the City for use as an emergency shelter. Within 72 hours, the federal government offered the Fort York Armoury but city bureaucrats said it was not needed! A community wide fax-phone-email campaign to “open them up” was successful and we witnessed newly elected Mayor David Miller support the opening of the Fort York Armoury. The Mayor also visited the armoury when it opened, offering support just as leaders in another kind of disaster would visit people in crisis. Within weeks, when the federal government demanded the Armoury back for its own use, we saw the Mayor’s office work to ensure the relocation of homeless people to 2 Murray St. – a site that is now being turned into housing! In December 2004 the City, without being forced by a protest, opened an emergency winter shelter at 110 Edward Street with plans to keep it open until the end of May. However, the City continues to rely on an enormous collection of volunteer, faith-based winter only, basement only, mat only programs to provide single nights of shelter and food for homeless people. “Other public buildings (or buildings on short-term municipal leases) should be made available for shelter. In particular, resources should be allocated to meet the special needs of families, women and children, youth, aboriginal people, people with an immuno-deficiency or chronic illness such as HIV/AIDs, and people with addictions. Some specialized facilities will require proper ventilation to protect immune-compromised people from airborne diseases. 2005 Reality Check – In 2004 the City of Toronto passed a Municipal bylaw which will prohibit new shelter development in two downtown wards and create numerous barriers in others. The City is nowhere near meeting its long term shelter plan and there is no political will on council for shelter expansion. City Budget Chief David Sognacki and Mayor Miller have both said they might need to close 1,000 shelter beds due to the budget crisis. The City continues to sell off properties that could be developed for shelter or transitional housing or safe houses. “Several parks should be designated as places of refuge. Security, portable toilets, bath houses, emergency health services, emergency shelter (mobile homes, rail cars, trailers, tents) must be provided. Unused railcars, mobile homes, and army tents are readily accessible. 2005 Reality check – Under Mayor Mel Lastman, City Council created a by-law making it illegal to camp in public parks. City by-law officers, public works and parks staff, and police have routinely moved homeless people out of parks. The province’s Safe Streets Act then added further restrictions on where homeless people could sleep. City Council in February 2005 passed a new municipal by-law prohibiting “camping” at Nathan Phillips Square and other civic sites, targeted towards a particular class of people – the homeless. Homeless people are routinely arrested, ticketed, or threatened with forced eviction of their belongings by City workers. a hospital discharge protocol that ensures that homeless people requiring recuperation, convalescence, medication, treatments etc. are not discharged "to the street"
2005 Reality Check – emergency outreach, street nursing and curbside health initiatives as well as the Sherbourne Health Centre’s work to develop an infirmary continue but health workers face new and impossible challenges: in the last 4 years - two tuberculosis outbreaks including deaths to TB and front-line staff infected, a massive bedbug infestation throughout the emergency shelter system, new and emerging illnesses such as the Norwalk virus. To make matters worse, few lessons have been learned or implemented from the SARS experience. For example, the City continues to allow crowding, overcrowding in congregate sleeping facilities and forced nightly movement. In particular, this includes one of the more dangerous practices - their reliance on the well meaning Out of the Cold program. A perhaps not surprising addition to this litany of health challenges, workers are now painfully recognizing they are facing a population with huge palliative care needs. "Governments must provide funding to enable these organizations to provide adequate staffing, nutritional food, personal hygiene supplies, clothing, bedding, indoor and outdoor space for homeless people during this emergency period. 2005 Reality Check – the above refers primarily to the Out of the Cold programme. The experience of recent outbreaks of tuberculosis and Toronto’s SARS experience are serious reminders that emergency shelters must ALL meet the UN standards for refugee camps, and at minimum the City’s own Shelter Standards. That is not the case today, leaving hundreds of people and thousands of volunteers at risk. “Bylaws that limit the location of housing and services for the poor, and that prevent homeowners creating and maintaining adequate rental apartments, should be suspended. 2005 Reality Check – Several steps backwards have occurred in this area. Specifically: the City’s bylaw preventing homeless people from sleeping in parks, the Municipal Shelter Bylaw, and the Nathan Phillips Square bylaw. Not only are bylaws preventing housing, they are now preventing homelessness. “Several services assisting the homeless have been closed, or are classified as temporary and hence due to close, or are precarious due to insecure funding. There must be a moratorium on any loss of services until the emergency is over. 2005 Reality Check – each year the City allows its winter emergency shelter to close without adequate replacement beds or housing. Each year the City watches the volunteer Out of the Cold program shut down and hundreds of people pour into the street. In contrast, when Tent City was forcibly shut down by Home Depot, advocates demanded the implementation of the City’s Emergency Response Plan which included the opening of a replacement shelter facility (at Woodgreen Community Centre) and ultimately a rent supplement program was won. An additional point of concern is that workers in city and provincially funded community outreach programs may have been placed in an ethical dilemma with respect to how they deliver services to homeless people at City Hall and in other locations. Workers report an inability to deliver necessary food and sleeping gear to people at City Hall and other locations and instead are asked to merely transport people to existing (?) shelter spaces. “The reinstatement of the 21.6% is the most important preventative measure with respect to homelessness. 2005 Reality Check – In addition to the above, street nurses now comment that the most useful thing they can do for someone’s health is to assist the person to obtain ODSP. 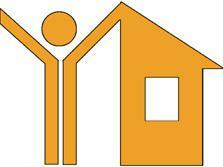 It does not appear that the City has developed a proactive plan or protocol to identify people in shelters who are eligible for ODSP in order to support their transition from shelter to housing with the aid of rent supplements. “A public information campaign to explain the nature of the crisis of homelessness is needed. The campaign would also address basic human rights issues such as discrimination towards people on social assistance, people of colour, people with HIV/AIDs, people with substance issues and drug issues. 2005 Reality Check – recent policy directions at City Hall have only added to negative stereotypes of homeless people. Some politicians and some media have characterized homeless people as “lazy”, “bums”, “addicts”, “vagrants”, and suggested they should be sent out to pick up garbage from the street. The recent bylaw on “camping” at Nathan Phillips Square is widely considered to be a step that will lead to further targeting of homeless people sleeping in other public and private space and was supported by the Chair of the City’s Homeless Advisory Committee despite the unanimous decision of the committee membership to oppose the ban. “Human Rights legislation must be enforced and tenant legal protection must be increased. 2005 Reality Check – It is not evident that the City has developed a human rights “lens” through which all new city wide protocols, bylaws and programs have been screened. A caring, responsive and proactive plan that addresses all the realities of homelessness and commits to long-term solutions – i.e. housing in order to end homelessness within 10 years. In Toronto, there are more than 30,000 people annually using homeless shelters and many tens of thousands of more who are “hidden homeless” – living in the parks and ravines, “couch-surfing” or otherwise lacking good quality, affordable homes. About 96,000 tenant households in Toronto are paying more than 50% of their monthly income on rent – which puts them on the brink of homelessness. The City has been a strong advocate for additional provincial and federal commitments to social housing. City Council endorsed the Disaster Declaration in 1998 and reaffirmed its commitment to the 1% solution as recently as February 2005. Mayor Miller has created a special advisor in his office on housing and a review of how the City delivers housing is currently being undertaken. 1. Adequate shelter. A commitment to provide safe, emergency shelter. This must include the enforcement of the “90% rule”, meaning that additional shelters must open once the system is beyond 90% capacity. A commitment to phase out the Out of the Cold programme and ensure adequate replacement beds. A commitment to enforce the Shelter Standards. 2. Support. Community based outreach services. Recognition that community based services have expertise to provide services ranging from health care to harm reduction by a variety of means including outreach. The City must commit to support these services and consult with them. 4. A City of Toronto Housing Program. To create the means and mechanism to fund new social housing. set a Year One target of 3,000 new truly affordable homes. The targets set in the "From the Street into Homes" report are a substantial step-down from the Golden recommendations, and those targets were already overly modest. Toronto needs to have targets for new social (subsidized) housing that reflect the desperate need and are realistic. match re-allocated funds with at least an additional $14.2 million. The “From the Street into Homes” report correctly notes that the bulk of the funding for new social (subsidized) homes must come from senior levels of government. However, the city needs to commit new dollars to demonstrate that it is prepared to be a serious partner in creating new homes. As a start, the city should double its commitment to new housing by providing $14.2 million in addition to the $14.2 million in existing funding. This would send a strong signal to senior levels of government. The city can get these funds either from other city programs (such as the police) or through tax revenues. These measures constitute just the beginning of a blueprint. It’s clear to me that the challenge ahead is to understand what is happening at City Hall that is shifting the power base, and the respect that has been most recently shown on this issue by the Mayor’s office.